Globular flask. Plain, rounded resting surface and concave (domed?) base. Thin-walled, globular body. Slightly flaring neck to rim rounded and rolled inward. Thick coil applied to outside of lip and thin coil applied to upper neck spiralling up from below. Faint blowing spirals diagonally upward. Greenish blue colorless (PMS 621C). Transparent. Very rare pinprick bubbles but otherwise excellent material. 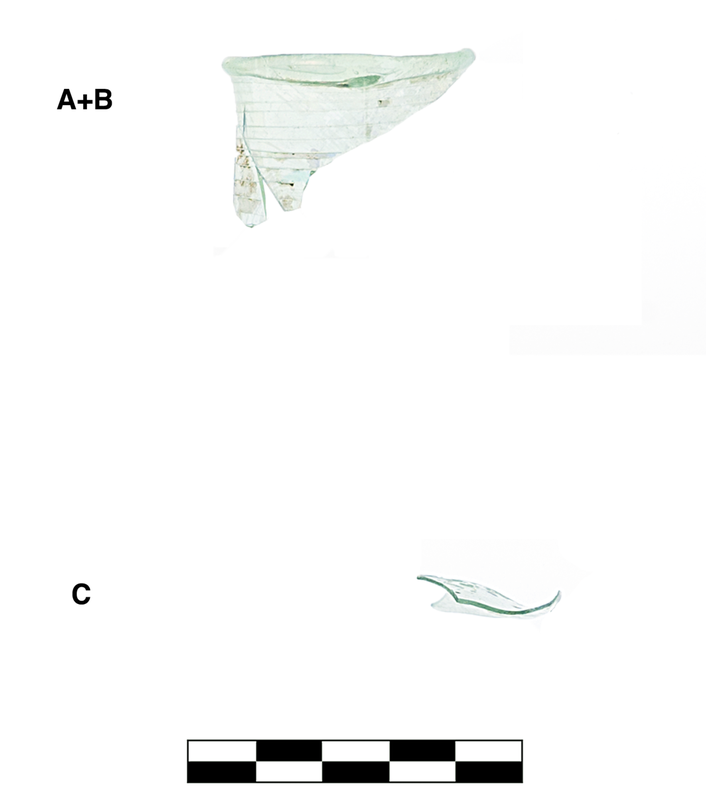 Six joining fragments (a+b) preserve ca. 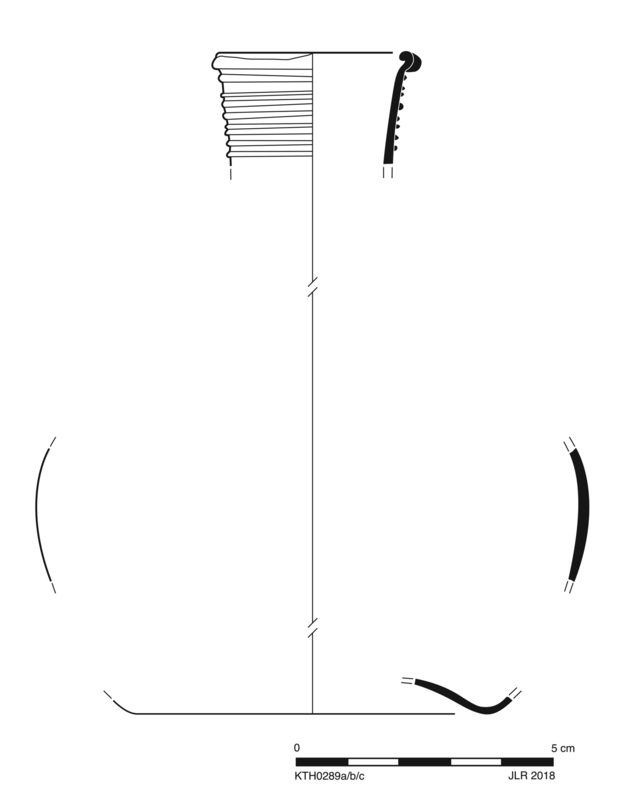 75% of rim and small part of upper neck; one nonjoining from in same material (c) preserves less than one quarter of base; three fragments in same material preserve small part of body. Slight, extensive dulling and irridescence; moderate, extensive pitting on base and body fragments.